Are you pulling out your hair over payroll? Doing your own payroll, even for just one employee, has many pitfalls for the small business owner. There's a lot to know, and keeping up with many federal, state, and local payroll tax regulations is a pain. In addition, you have deadlines to meet, for payments and reports to all these agencies. It's no wonder many small businesses turn to payroll services for these tasks. But which payroll service is the best? Payroll is your business responsibility. Having a payroll service doesn't relieve you (the business owner) from the responsibility for paying employees, withholding, reporting, and paying federal and state tax agencies. No matter who you hire, your business is ultimately at fault if something isn't done or isn't done correctly. There are two kinds of payroll services: online services and (for lack of a better term) personal services. The online services may be apps or online-based. The personal services are a business owned by an individual who may do payroll online or who may be local. The evaluation process works the same way for both types of payroll services. But this article will focus on online services. Below are some features you should take into consideration. The first thing business owners ask when looking for a payroll service is: "How much does it cost?" While cost is important, other factors are just as important. Consider the cost of the service now and into the future. If you have a very small business with only one or two employees, you may want to limit your cost by using a scalable service in which the cost is minimal for only a few employees and which increases as you add employees and services. 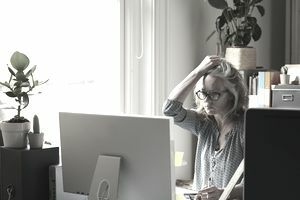 Costs come in two levels for some of the services: a basic service that just calculates and delivers paychecks, with maybe a W-2 service, and a full-service option that also does the depositing and paying of payroll taxes and tax filings, including Form 941 (the quarterly payroll tax reporting form). What Should a Full-Service Payroll Service Include? Setup, training, and dashboard: The system should be easy to set up. You should have a dashboard to guide you through processes and to allow you to check on activities like filings and paycheck deposits. Training should be simple, with good videos to help you work through the various processes. What level of payroll knowledge do they assume you have? Most business owners have little knowledge, so your service should provide detailed basic knowledge of payroll terms, paychecks, and filings. Paychecks: Each of these systems allows you to input the information for each employee, including W-4 form for federal income tax withholding and other information needed to prepare paychecks. Systems should let you write printed checks or to have checks direct deposited (the best way). Check with your bank on its requirements. W-2 forms: Your service should provide you with W-2 forms, the annual employee wage and tax information form you must give to employees in January. The full-service option should also file these forms with the Social Security Administration for you at the appropriate time. File and deposit payroll taxes: This is probably the most important service. Having someone file and pay these taxes is a big responsibility. A full-service system should file all relevant payroll tax and employment tax documents for you. They should make payments on your behalf with the appropriate federal, state, and local regulatory agencies. Forms should include Form 941–Quarterly Wage and Tax Statement and federal and state unemployment tax forms. The service should also keep track of state and local payroll taxes, which is a huge help if you have employees working in different cities and states. What Other Features Should You Expect? Tax guarantees: Your service should guarantee that tax forms will be sent before all deadlines and that payments will be made on time so you don't incur fines or penalties. The service should agree to pay any fines or penalties for late filing or payment. If they don't make this guarantee, don't use them. Mobile accessibility: You should be able to access the dashboard and make changes, send in information on your computer, mobile phone or tablet, or even call in information. Employee self-service: Some of these services have a dashboard that employees can log in to and get information on their year-to-date paychecks. They might be able to change W-4 information online. Integration with your accounting system: Having your payroll service integrates with your accounting system saves you time and money. Intuit Payroll is only sold with QuickBooks Online, so this might be a good option for you if you already have QBO. The Patriot software has an accounting system you can add to your payroll service. When you have narrowed down your selection to a couple of services, check them out. Check online ratings, but don't depend on them too much. A better place to check is the Better Business Bureau. See what complaints have been filed against this company and how they have been resolved. What Are Some Payroll Services to Consider? Intuit's full-service payroll is an add-on to QuickBooks Online. The pricing depends on which version of QBO you want and the level of payroll services you need. The pricing is monthly. Patriot's full-service payroll system starts at $25 a month for one employee, increasing with the number of employees. Paychex's system is based on numbers of employees. The company requires a written bid from a potential customer before releasing pricing information. ADP has three levels of payroll, including HR. No pricing was available. There is one final issue. The problem with trying out these systems is that they require you to "go live," and you can't issue paychecks more than once. Patriot and Gusto have demo versions you can try. ADP has two free months of payroll, but that means you are committed to running two months with their system.